Delancey is a delicious pizzeria in Seattle's Ballard neighborhood. Next door is their other bar/restaurant, Essex. They asked me to create a double-sided tote to show off both businesses. 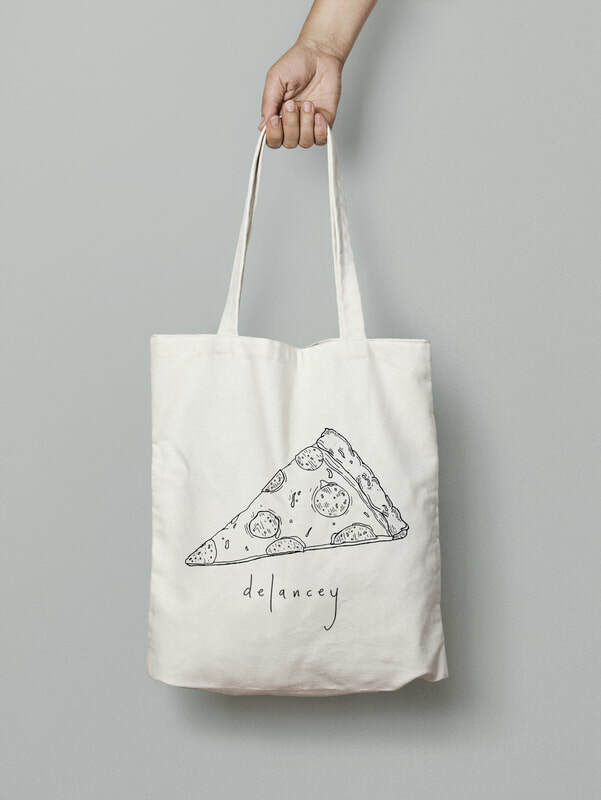 For Delancey, a pizza slice and their logo. 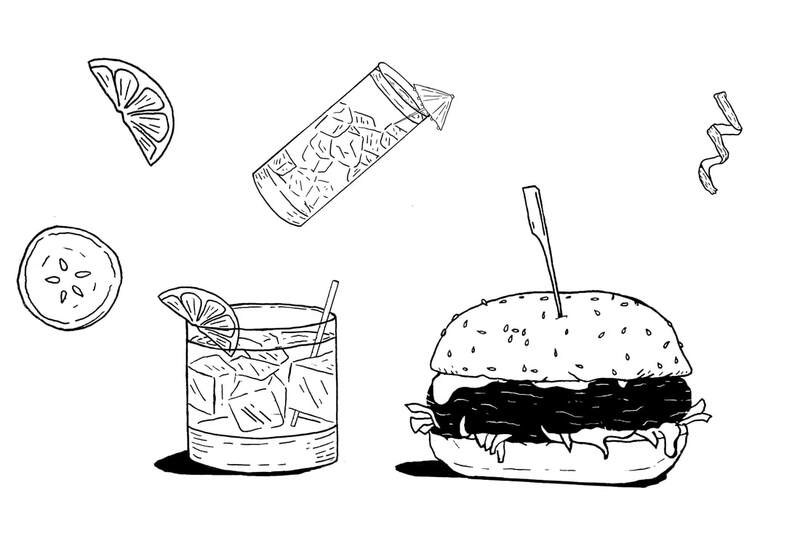 For Essex, a burger and a cocktail. Here are a few images from my process as well as the final bags.